The app we’re featuring this month is great for locals and visitors in San Diego. It makes Little Italy, the Italian neighborhood of San Diego, easy to navigate. 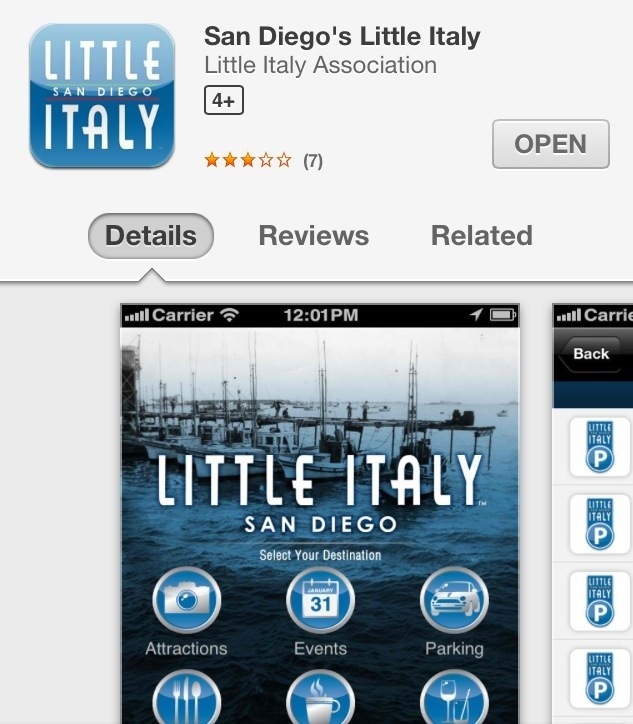 The app is called San Diego’s Little Italy and is free to download. It’s very handy. It’s an easy-to-use directory of places in Little Italy. If you’re looking for a restaurant in Little Italy, the app includes it (and includes a map, a button to get to reviews, a button to get to the website, etc). If you’re looking for galleries in Little Italy, this app gives you all the details. The same goes for attractions, bars, events and more. Check out Little Italy’s website and download your free Little Italy app today!